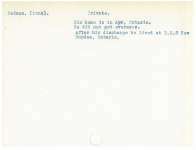 A white index card containing name, rank and military history of a soldier of Waterloo County. His home is in Ayr, Ontario. He did not get overseas. 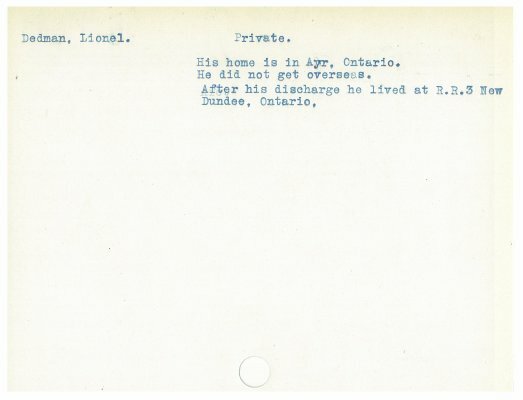 After his discharge he lived at R.R.3 New Dundee, Ontario.